Both sexes fully winged. Body and legs brown, antennal segments III–VI yellow at base; fore wings pale. Head longer than wide, projecting slightly in front of eyes; wider across cheeks than across eyes, cheeks with several seta-bearing small tubercles; surface reticulate; postocular setae wide apart; maxillary stylets retracted to eyes, close together medially. Antennae 8-segmented; segment III with three sensoria, IV with four sensoria; VIII constricted at base. Pronotum reticulate; with five pairs of hyaline, capitate major setae. 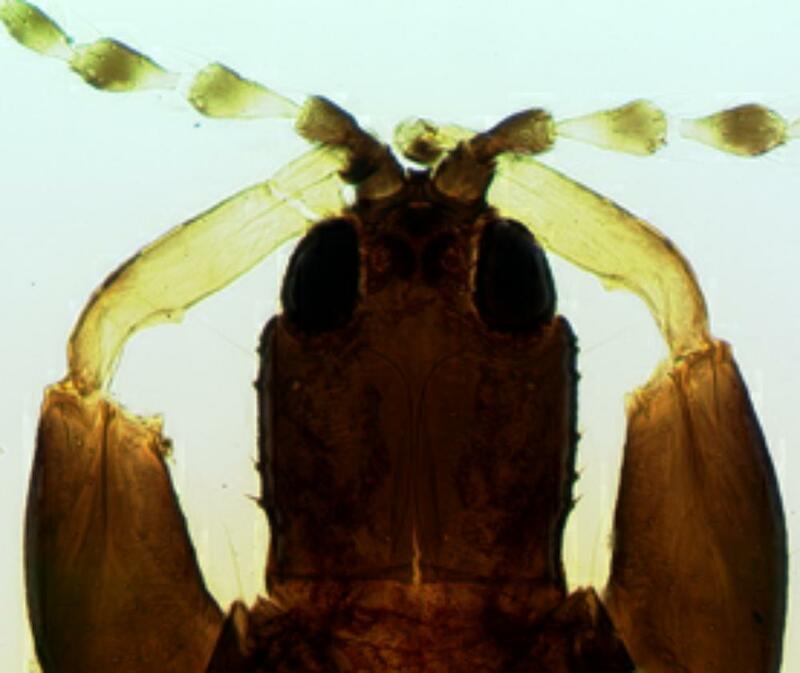 Fore tarsus with slender tooth. Metanotum boldly reticulated. 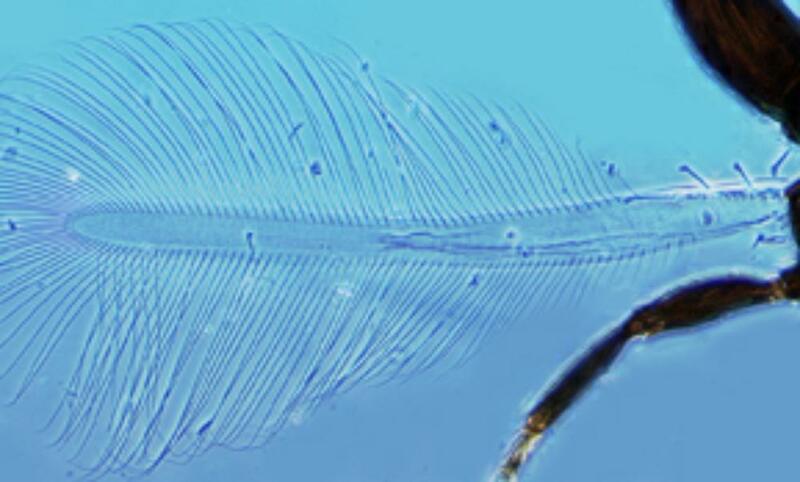 Fore wing weakly constricted medially, with about eight duplicated cilia. Abdominal tergites II–VII with two pairs of sigmoid wing-retaining setae, also marginal setae S1 with broadly expanded asymmetric apex; tergite IX setae S1 capitate, about half as long as tube. 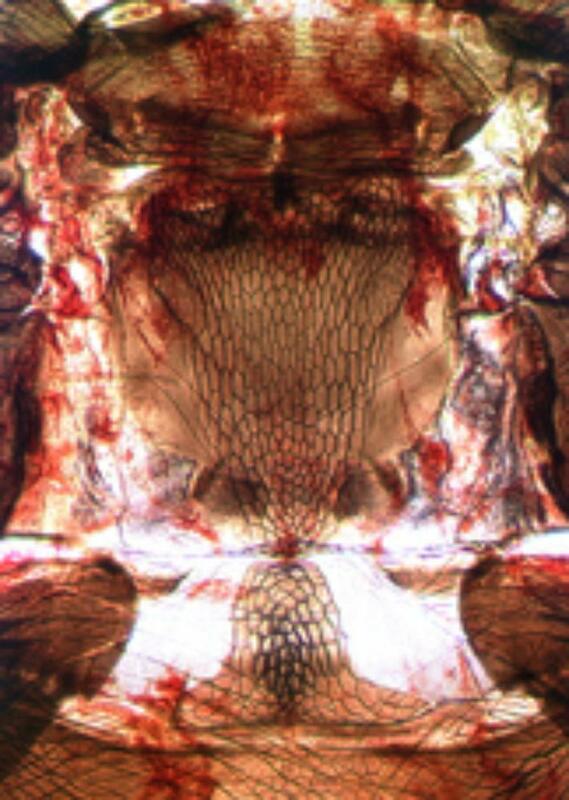 Male varying in size, large males with fore femora swollen, with two pointed tubercles at inner apex; sternite VIII apparently without pore plate. 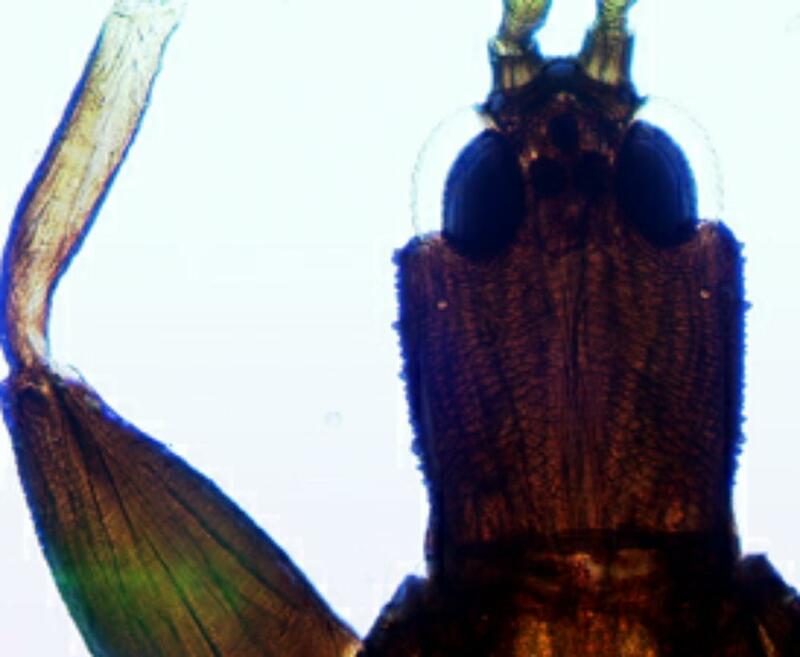 Currently, over 100 species are listed in the genus Hoplandrothrips worldwide. Of these, more than 20 are described from North America, and Cott (1956) provided a key to four of the five species recorded from California. Stannard (1968) provided a key to seven species from Illinois, and Mound & Marullo (1996) a key to 18 Neotropical species. 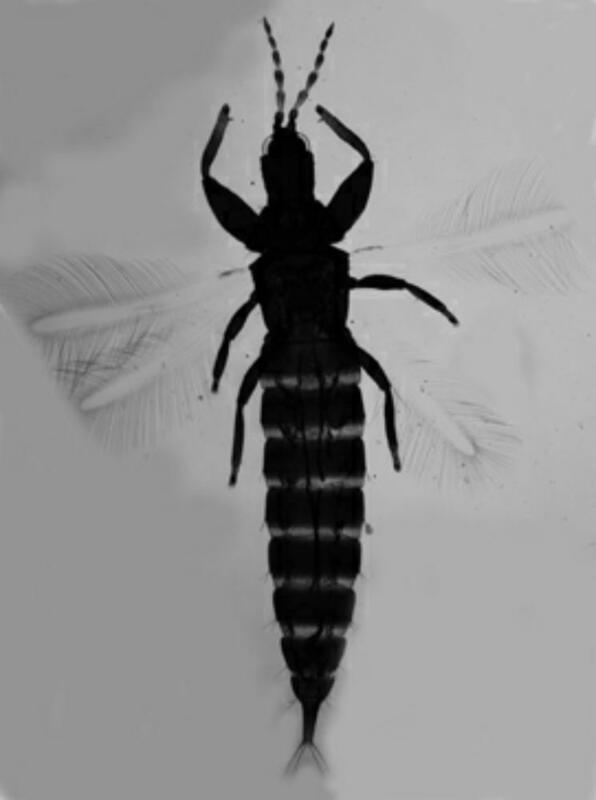 Species concepts within this, and several other, fungus feeding genera remain unclear, due to structural variation involving allometric growth patterns in one or both sexes. Unidentified fungal hyphae, particularly under bark scales of native Sycamore, Platanus racemosa (Platanaceae).